From the 1st April 2019, the Mental Health Employment Service which Aspiro has provided for Leicestershire Partnership NHS Trust for the past 5 and a half years, will be moved in-house and delivered directly by the NHS. Aspiro's employment-related services and support staff, including all our Employment Advisers, have transferred to Leicestershire Partnership NHS Trust. Customers of Aspiro who have been currently engaged with their Employment Advisers will have received a letter informing them of the transfer of the service and should not notice any changes for now. We are pleased to say that the Aspiro Fundraiser evening on 30 October 2018 was a great success with lots of donations, of prizes for the raffle, along with food and drink for the night - donated by businesses - see our home page and there are more besides. The Fundraiser gave us £450 and this success would not have happened without the hard work and dedication of Alex B and Lucy at Aspiro. We are also thankful for an amazing anonymous donation to Aspiro of £5,000 at the end of October 2018 which has been a massive help for our continued success. Both this and a £2,000 donation we received in June 2018, as well as monies donated by everyone who has used our Just Giving crowdfunding campaign webpage here have been massively important and we thank each and everyone of you! We are pleased to invite you to a fabulous evening of entertainment and fundraising with Rob Gee, comic poet www.robgee.co.uk, along with drinks and a smashing Prize Draw Raffle, which has amazing prizes donated by Experience Days, TGI Fridays, Peter Pizzeria, LCFC and Leicester Outdoor Pursuit Centre, as well as Waitrose, St Martin's Coffee and Cocoa Amore chocolate shop, to name a few. The event takes place at the The Cookie, 68 High Street, Leicester city centre, LE1 5YP www.thecookieleicester.co.uk, with a bar, as well as squash available, from 7.30pm till 9.30pm. ​Buy your tickets here or direct from Aspiro. Rob Gee will perform, there will be the Prize Draw and distribution of prizes, plus a chance to listen to some Aspiro success stories about our work. ASPIRO Training launches 1st February 2018 with a great selection of courses for employers and line managers with Inclusive Recruitment, plus Mental Health Awareness and Personality Disorder Awareness training courses. See our ASPIRO Training page for more information and booking.. The Zero Project launched on 1st March 2017 and we are now looking for customers i.e. Leicester city centre businesses and local not for profit organisations who need their card, paper, plastics and cans recycling in a cost effective and efficient way. We will provide work experience and learning opportunities for Aspiro customers who are disadvantaged in finding employment, so every pound spent on your recycling provides development opportunities for our customers, as well as the profits being invested in growing the Zero Project, and helping to fund our range of employment-related advice and support services locally. Aspiro's new waste recycling & upcycling service: the Zero Project has just launched on 19th June 2017 in Leicester City Centre at Pilot House, King Street. A team of committed and enthusiastic Zero Project workers and volunteers will provide a clean, efficient and customer service focussed recyclable waste collection & recycling service to city centre based businesses. Call 0800 098 8708 at the Aspiro office & speak to Peter or Paul for a price quote. Aspiro is proud to announce we have progressed from being Disability Confident Committed to a Disability Confident Employer which means we treat our team members and customers with openness and respect, as well as promoting a positive about disability culture, plus we have policies and processes in place to recruit and treat disabled team members well, and help their development. See the Contact Us page for a map and directions. ​(Appointment only with advisers, Natalie and Peter). Aspiro is proud to announce we passed Matrix Standard accreditation for providing quality Information, Advice and Guidance Services across the company and all services, including the Mental Health Employment Service and the Careers Education Service​. We were assessed against the Standard for Leadership & Management, organising Information Resources, Service Delivery, plus how we obtain Feedback and Evaluate this. Our basic computer course starts again for beginners son Monday 20th November, 2017, 9.45am which is open to all our Aspiro customers FREE of charge. 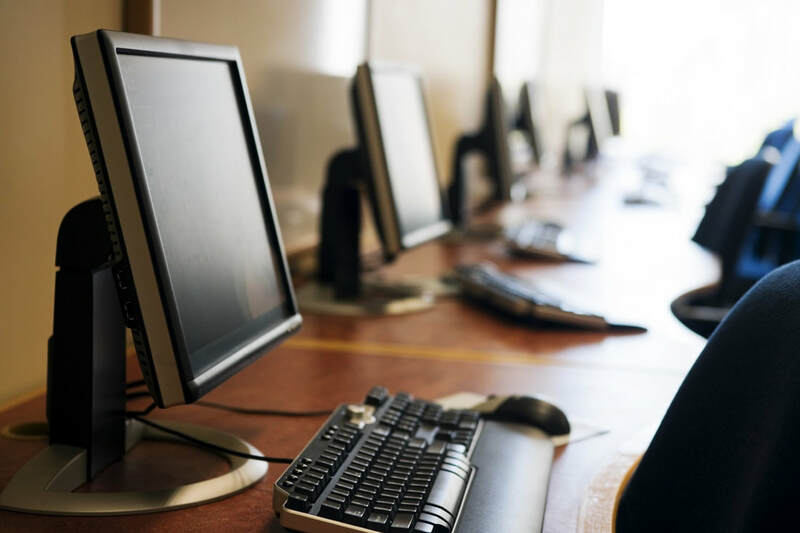 The course is really for the terrified.. Philip who is running the course is very experienced as an ICT/ Computer tutor and with our brand new training centre at the office with its fully equipped PCs it promises to be a great opportunity. So, if you are keen to learn the basics and during the five weeks get to the stage where you can not only switch on a PC but actually apply for jobs online then this is for you. It runs til 18 December, Mondays, 9.45am till 12 noon. Aspiro's founder and Managing Director, Peter Smith, received an Honoured Citizen Award on 27th July 2017 from Leicester's Lord Mayor, Rashmikant Joshi, for Aspiro's contribution to the City as we have helped over 500 local residents to try and find jobs or training. Colin Cottell investigates the work of Aspiro, a social enterprise firm that gives help to those suffering from mental health problems get back into employment. Prince Harry’s admission recently, that he had problems dealing with the death of his mother Diana, Princess of Wales, has given the work of Peter Smith and his colleagues at Aspiro a boost. “It is very positive in the sense that it will inform employers. It will almost normalise mental health. It shows that mental health problems can affect anybody from any walk of life, and at any point in their career,” says Smith, Aspiro’s managing director, who founded the Leicester-based not-for-profit social enterprise firm six years ago. However, even without the Prince’s intervention, Smith and his 15 staff and 10 volunteers have established an enviable record. With only around 20% of people of working age with mental health problems in employment, compared to 47% of those with a physical disability, Smith is rightly proud that 72% of those it has helped through its Mental Health Employment Service that has been running for three-and-a-half years are still in employment after six months. What is even more impressive is that, according to Smith, Aspiro’s customers generally come from “the tougher end of the scale” and will have seen a psychiatrist, and been referred to Aspiro with some sort of serious mental illness or personality disorder. Smith says the key to Aspiro’s success is its personal approach. Whereas the very large target-driven contracts often commissioned by the Department of Work and Pensions (DWP) “involve getting people into work as soon as possible and into any work, our targets are not ridiculously high, so it enables us to work with people as individuals”, Smith explains. Smith recognises that people with mental health problems face significant barriers to employment. “Employers worry that the people will have excessive periods of time off work with their mental illness.” Also, that “they haven’t got the relevant skills, qualifications and experience. Employers work on the premise that the people will be low skilled”. The lack of a recent work reference and gaps in employment history also can put employers off. However, Smith says the evidence is that people who have mental health issues have a lower absence rate than their colleagues. And far from not having the skills, qualifications and experience, he says “more often than not the people coming do, as well as having the ability to do an interview, albeit with some coaching from us”. Where Aspiro helps is by boosting customers’ confidence, which has often been dented by periods out of work, as well as by their own negative perceptions of how employers see them. “They think employers will never employ someone with a mental health problem like me, therefore there is no point in trying, or it is going to be an uphill struggle,” says Smith. Smith says he admires the way that recruitment agencies work, highlighting “their hunger” and “their keen eye for business”. A partnership with a multi-sector recruiter with headquarters in Leicester to co-deliver support to people with mental health problems as part of the government’s Work Programme, with Aspiro as a sub-contractor, didn’t result in Aspiro getting any business. But Smith says this hasn’t put him off the idea of working with another recruiter. In addition to the attraction of “a massive range of employers … if we could employ the resources and the efficient way of working of a recruitment agency to what we do, then it could be of benefit not only to our customers and clients but also to both our businesses”, he says. Among the 25 or so employers that use Aspiro’s Mental Health Employment Service are local NHS Trusts, local authorities and charities, as well as the Co-op. Aspiro’s employment advisers also coach customers in the best way to disclose their mental health problems to employers. Smith says they are advised not to use ‘loaded terms’ such as psychosis on application forms that “put the fear of God into employers unnecessarily”. Rather than disclosing it up front, “we would always encourage customers to say ‘recovering from mental issues we will discuss it at interview’ ”. “It is not minimising a person’s mental health but it is getting the timing right so they do a great application and interview and it’s in that context they see their mental health problems, as opposed to it being the first thing they learn about an individual,” he continues. After a customer gets a job, Aspiro provides ongoing support with monthly phone calls to see how they are getting on, with any difficulties referred to its employment advisers. Employers also receive ongoing on-going support and advice. One area where employers welcome advice is on making “reasonable adjustments”, he says. While this is relatively well understood when it comes to physical disabilities, for example by providing a wheelchair ramp, this is not so much the case with mental health. Smith says examples could include allowing someone to start work later, and giving them regular time away from their desk. Aspiro can also provide individual recovery plans, which include tell-tale signs to help an employer recognise that the individual is becoming unwell. For Smith, the work that Aspiro does is about normalising mental health. “I often say to employers ‘one in four adults will have a mental health problem at one point’; you will probably be employing someone who had or has a mental health problem. Not for profit social business, Aspiro, celebrates a successful 6 years helping local residents. Aspiro, a local not for profit social enterprise, has been successfully operating in Leicester City, Leicestershire and Rutland for six years now and provides a range of services to help local residents who are disadvantaged in finding employment, voluntary work or learning. Aspiro celebrated its 6th birthday this month, and Peter Smith, the Managing Director, who founded the business after his own problems finding work, is very proud of his team’s achievements in helping more than 600 local people access work or learning opportunities. Over 260 of these people have moved into paid jobs, with 7 out of 10 of the successful customers still in the same employment six months down the line. As a not for profit business, Aspiro’s funding comes from a range of sources, including the local NHS to run the successful Mental Health Employment Service since 2013, delivered with Leicestershire Partnership NHS Trust, which provides community health, mental health and learning disability services, in Leicester, Leicestershire and Rutland. In its first three years, the Mental Health Employment Service, helped almost 140 people into employment, and the number of customers moving into paid jobs now stands at nearly 160. All have used secondary care mental health services, often those provided by Leicestershire Partnership NHS Trust. This local NHS Trust refer many of their patients to the service, because as Peter Smith, Aspiro MD, states “Working can often be good for people’s mental health as it instils self-confidence, returns a sense of purpose and new employees meet people and use their job-related skills again”. Paul is a good example of a local resident who used the Mental Health Employment Service to access work-based training, after a long period almost living as a recluse with severe depression. Paul is now the manager of Aspiro’s Zero Project which launches this month, to provide cost effective waste recycling and upcycling services to city centre businesses, which will also assist Aspiro’s customers who help on the project, as they will gain valuable work and learning experience. Paul is a valuable Aspiro asset and says “without Aspiro I wouldn’t be working and may never have re-joined society”. Another new project run in conjunction with the local training company Business 2 Business and part funded by the European Social Fund, is the Hinckley and Bosworth based Careers Education Service for young people, aged 16-24, who want to work or get an apprenticeship or go back to learning and are currently not in education, employment or training. This exciting project launched last month. Aspiro believes strongly that developing training for employers on recruitment and management of staff recovering from mental health problems is a good idea and employers often say that employing Aspiro customers who have experienced these issues have proved to be committed and effective staff for their business. The training will be ready to roll from April and employers are asked to try it. Aspiro rolled out a new Twitter feed in February 2017 called @AspiroLeics and can be accessed via the Twitter logo at the top of each webpage - see above. If you want to follow our Founder and Managing Director, Peter Smith then follow @AgentDeckard here.